“Rufus – The Real Hawk Eye” is a Cinematic Stella Artois Promo Short Film featuring Wimbledon Traditions Directed By James W. Griffiths. 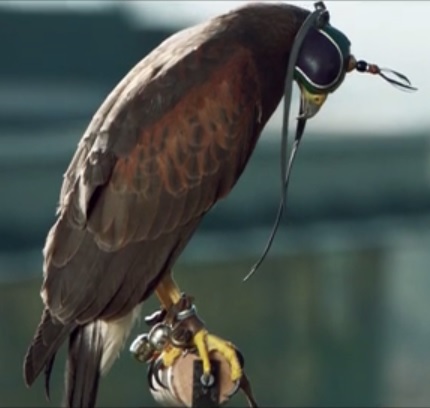 Stella Artois’ second online film in its “perfectionists” campaign tells the story of Rufus, the Wimbledon hawk, who is used to scare pigeons away from the tennis courts. ‘Rufus – The Real Hawk Eye’ tells the tale of how Wimbledon got rid of their most unwanted visitor to the court, the humble pigeon, which plagued play for years. In 2000 the pigeons of SW19 met their match in Rufus, the Hawk employed to scare them off. Directed by James Griffths through Indy8, the films introduces the feathered member of Wimbledon security using stunning cinematography and slow motion to capture his beauty and a clever voice over to capture the essence of the birds character. This film was graded by Paul Harrison with Steve Murgatroyd on Flame.